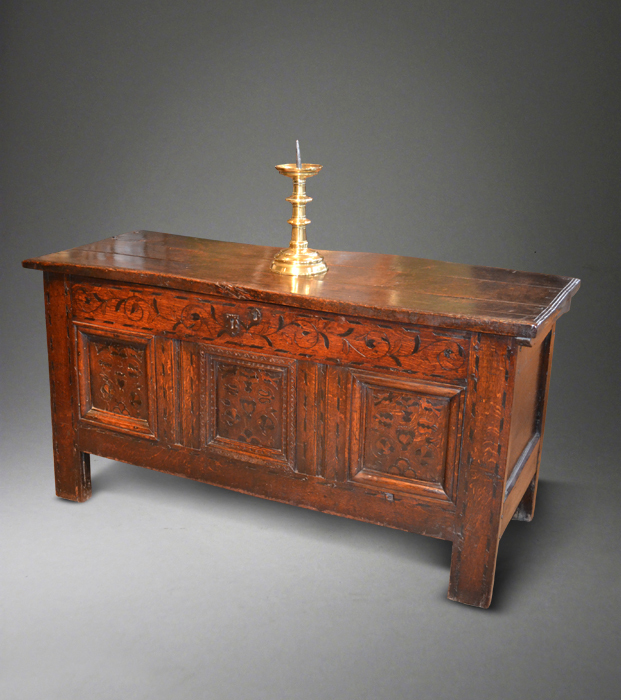 Suffolk House Antiques | A James I oak marquetry inlaid chest. A JAMES I OAK MARQUETRY INLAID CHEST. 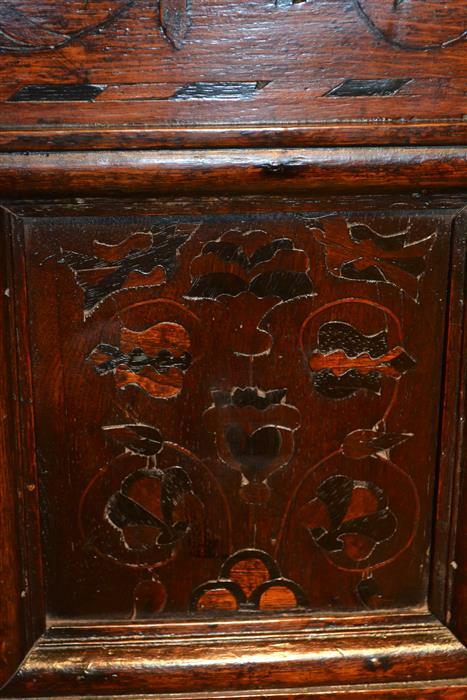 A fine James I oak chest of heavy construction and with fine marquetry inlaid panels depicting flowers and birds. Full details can be seen under "Coffers and Boxes".